Dana-Farber Cancer Institute is consistently ranked the #1 cancer hospital in New England by U.S. News & World Report for its innovative research and patient care. When you give to Dana-Farber Cancer Institute and the Jimmy Fund, you invest in a world without cancer. Your support is essential to the cancer research and patient care initiatives at the heart of our lifesaving mission. Dana-Farber’s mission is to provide adults and children with cancer with compassionate care while advancing the understanding, diagnosis, treatment, cure, and prevention of cancer and related diseases. 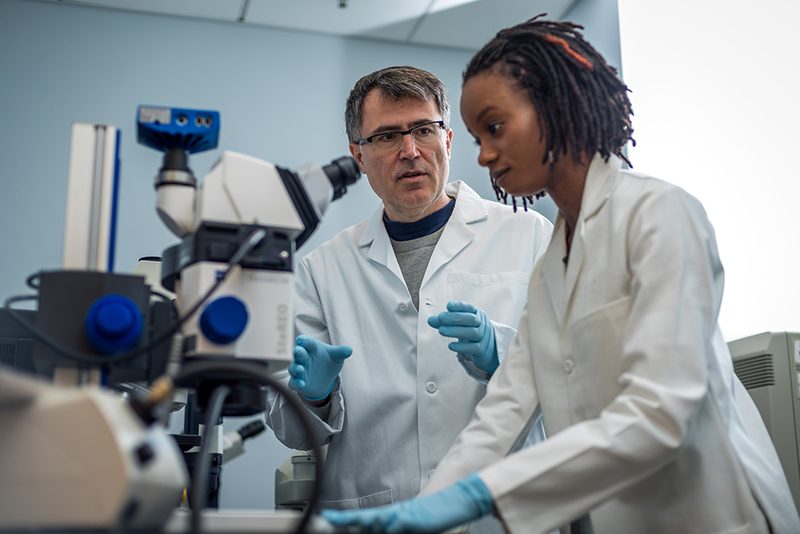 Since its founding in 1947, Dana-Farber Cancer Institute in Boston has been committed to providing adults and children with cancer with the best treatment available today while developing tomorrow's cures through cutting-edge research. As an affiliate of Harvard Medical School and a Comprehensive Cancer Center designated by the National Cancer Institute, the Institute also provides training for new generations of physicians and scientists, designs programs that promote public health particularly among high-risk and underserved populations, and disseminates innovative patient therapies and scientific discoveries to our target community across the United States and throughout the world. Engage in activities to further our mission to conquer cancer. Dana-Farber is the only cancer center in the world that focuses equally on innovative research and compassionate patient care. This unique balance enables our “bench to bedside” approach, whereby physician-scientists carry discoveries from the laboratory bench to the patient’s bedside, and results from the bedside to the bench. Having one of the largest cancer clinical trials programs in the country, with more than 750 trials open to patients. 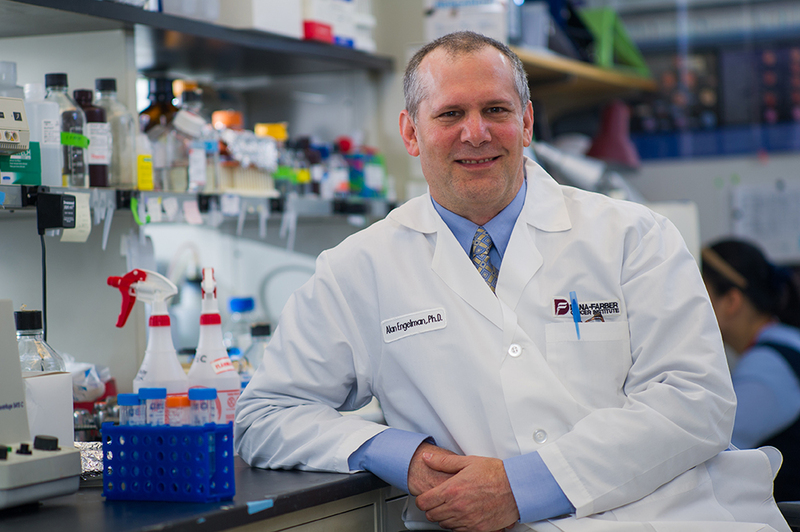 This unrivaled expertise makes Dana-Farber indisputably one of the world’s most respected cancer centers and a leader of innovation and discovery in the global search for cancer cures. Dana-Farber has been the top ranked cancer hospital in New England by U.S. News and World Report for 15 consecutive years, and is the only cancer center in the country ranked in the top 4 for both adult and pediatric cancer programs. We are a founding member of Dana-Farber/Harvard Cancer Center, one of the 45 NCI-designated Comprehensive Cancer Centers in the U.S.
We are one of 20 federally designated Centers for AIDS research. Dana-Farber has received Magnet® status, the highest recognition for nursing excellence, granted by the American Nurses Credentialing Center to only 7 percent of hospitals worldwide, three times. 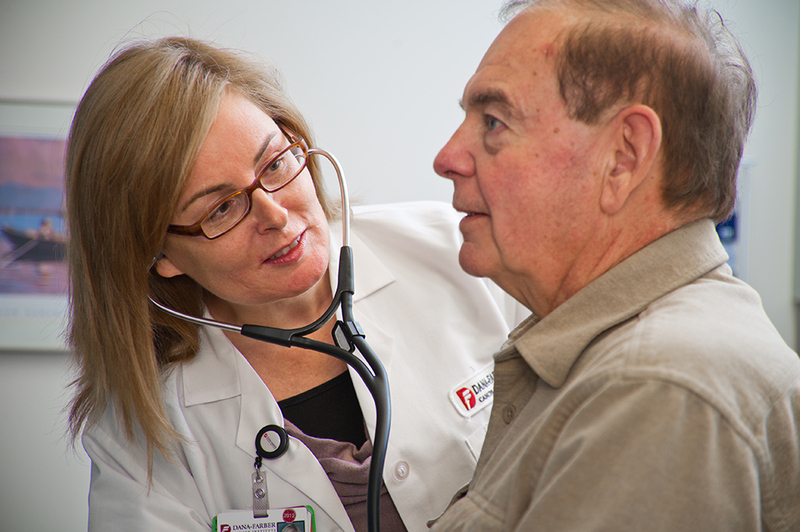 We conduct 395,000+ patient visits and infusions, annually. 97% of patients would recommend Dana-Farber and are satisfied with the skill and knowledge of their doctor (2015 Press Ganey survey). Our unprecedented study, Profile, is one of the largest databases of genetic mutations in approximately 15,000 tumor samples that has, and will continue to, facilitate development of treatments targeted to an individual’s cancer. Dana-Farber opened the Molecular Cancer Imaging Center in 2015, which contains the only cyclotron in New England dedicated solely to cancer research. In 2015, the FDA approved five new cancer drugs that proved effective in Dana-Farber-led clinical trials—and, in some cases, derived from basic research in Dana-Farber laboratories. The FDA’s approval in September 2014 of a new immunotherapy for advanced melanoma that was based on PD-1/PD-L1 immune interaction first discovered in a Dana-Farber lab a decade earlier. Dana-Farber established the Joint Center for Cancer Precision Medicine in 2014 to drive collaborations among several Boston hospitals to speed the development of personalized therapies. In 2014, we received recognition as a Top Hospital in the Leapfrog Hospital Survey for excellence in patient safety and quality of patient care, an elite distinction awarded to less than 7 percent of hospitals nationwide. In 2013, 2014, and 2016 Dana-Farber was recognized as a “Leader in LGBT Healthcare Equality” by the Human Rights Campaign Foundation. When you give to Dana-Farber Cancer Institute and the Jimmy Fund, you can be confident your support is making a powerful difference in the fight against cancer for adults and children. Every gift, no matter the size, advances our lifesaving mission. When you give to Dana-Farber and the Jimmy Fund you invest in a world without cancer. Dana-Farber strives to be a good steward of donor money. We have a low cost of funds raised with eighty-eight cents of every dollar going directly to cancer research and patient care. Also, Dana-Farber Cancer Institute consistently receives a 4-star rating, the highest available, from Charity Navigator, a national charity evaluator, recognizing our prudent financial management and low cost of funds raised.